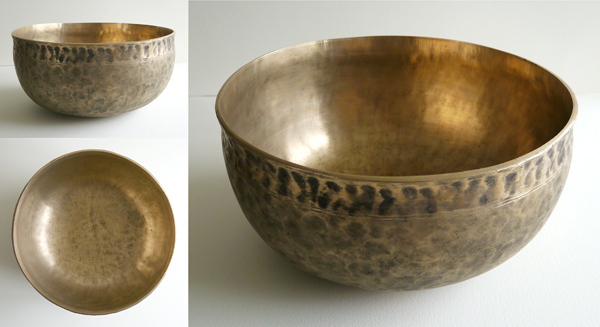 Fountain bowls are singing bowls with an added dimension. When hand-held and played around the rim with a little water inside they create a myriad of vibrant surface patterns that chase each other around the perimeter of the bowl in rhythmic waves before bubbling up and transforming into spectacular water fountains that are barely contained within the bowl. Very few singing bowls are capable of producing fountains, and those that do are usually the larger and vibrant Jambati and Ultabati, but any bowl with a low octave voice is potentially a fountain bowl. One simply has to experiment with every bowl, using varying amounts of water to see which, if any, fountain. Sometimes engraved circles inside the bowl act as markers and indicate the precise amount of water needed. Try tilting the bowl away from you and filling the space between the circles with water…then playing around the rim in that position with a leather ringer. Sound travels about 4.3 times faster in water than air…and considerably faster through non-porous solids such as bronze. 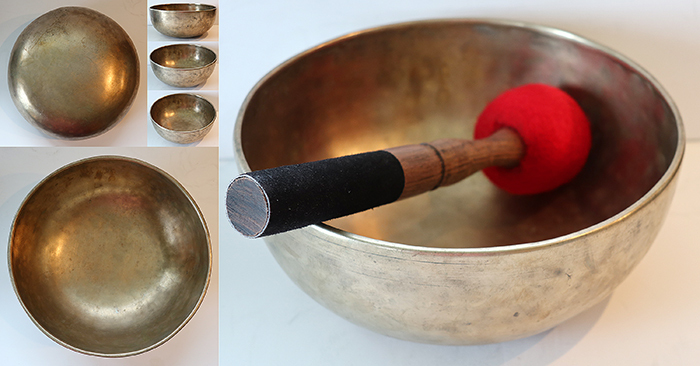 Antique Fountain bowls enable healers and therapists to demonstrate to clients a singing bowl’s powerful resonant and vibrational effect on fluids…of which we are largely composed. 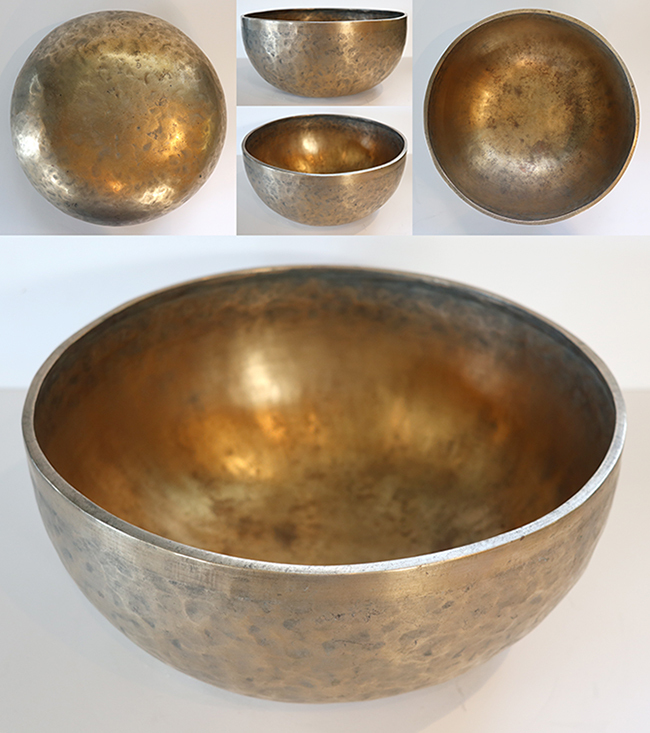 In all other respects fountain bowls are normal singing bowls, but this fascinating extra dimension is of special interest to healers, shamanic practitioners and others with esoteric interests. A bowl's pitch can be altered with the addition of water, but it is not known if or how a bowl's fountain capability was used in the past. Old Ultabati Singing and Fountain Bowl. E Note (Solar Plexus Chakra) Weight 3 lb 12 ¼ oz (1.71..